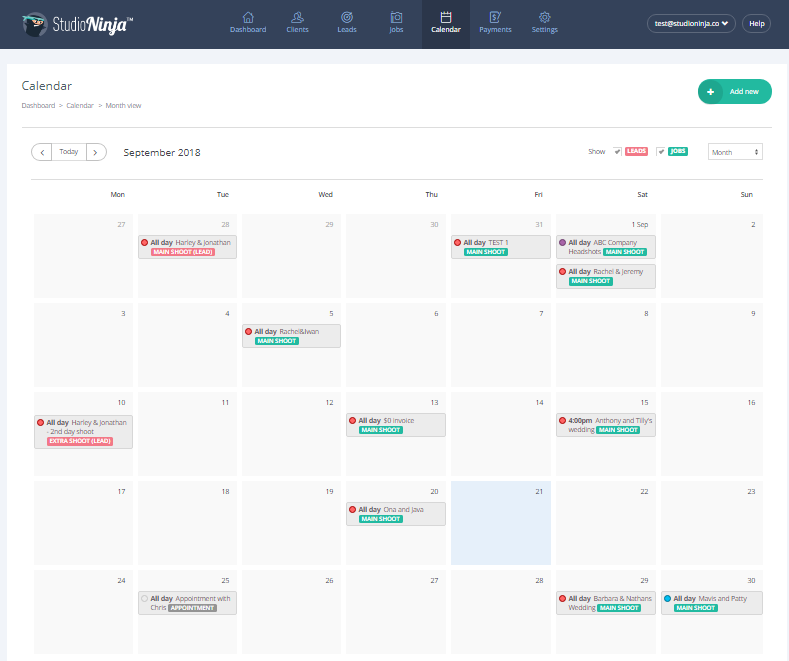 The Calendar displays all your Jobs, Leads, Extra shoots and Appointments. There are two ways of adding new leads, jobs, extra shoots or appointments into your calendar. Options 1: Click the green 'Add New' button located at the top right hand side of the screen. This will bring up the Add New lightbox which will give you the option to create a new lead, job, extra shoot or appointment into your calendar. Option 2: Click on a date or time inside your calendar and the Add New lightbox will appear. Adding a new job or appointment this way will pre-populate the date and time field for all the 'Add new' options. What do the different status symbols mean? SHOOT: means the primary shoot date for a Job. This is the date that the job is scheduled. You, the photographer need to manually tick the job confirmed button in the workflow of this particular job. APPOINTMENT: means you have scheduled an appointment on this particular date. 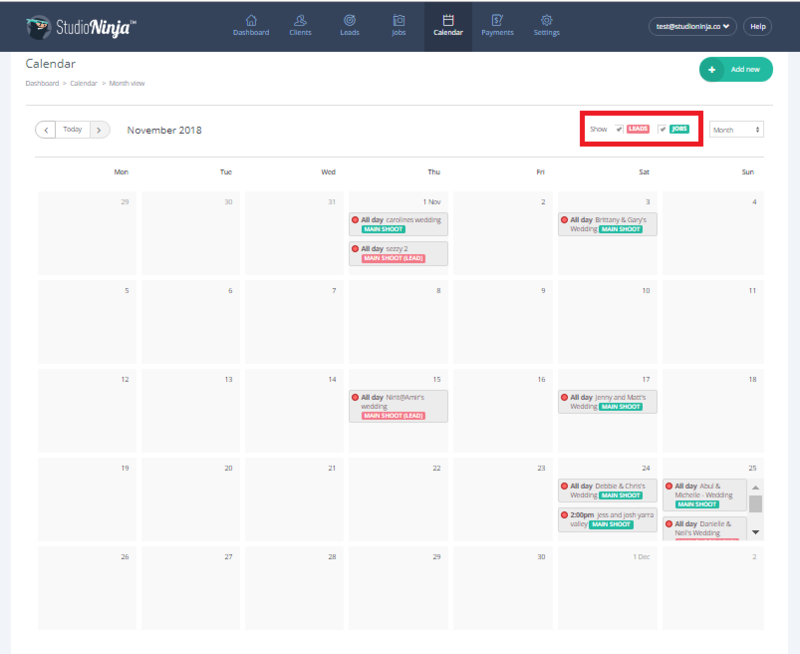 Week or Month view: You can toggle between week view or month view by clicking on the drop down list on the upper right hand side and choose 'Week' or 'Month' . Finding a date/time: Click the left and right arrow buttons to navigate the calendar. If you want to quickly return to today’s date, click on the 'Today' button. Filter Leads and Jobs: Tick on the 'Show leads or jobs' box to show the all leads and jobs or hide them in your calendar.